Volunteer-based organizations have to keep track of a lot of data—for example, contact info, schedules, time sheets and job sites—and the right software can help, freeing time for managing volunteers. There are a number of products out there, but it's surprisingly hard to find information about them. We hope this report remedies that. 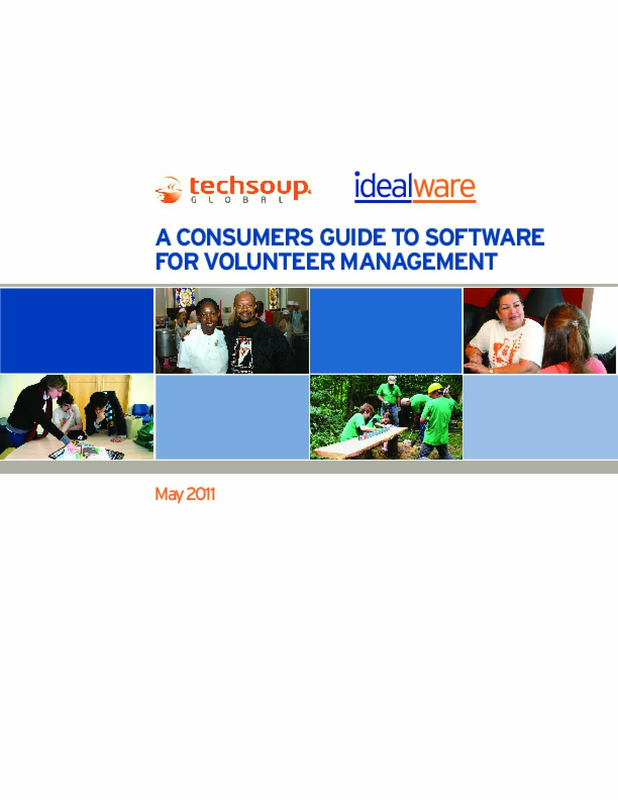 We designed it to serve as an introduction to volunteer management software: what's out there, what to expect and how the different solutions compare. Copyright 2011 by Idealware. All rights reserved.